All photos are for illustrative purposes only since actual home is under construction. MLS#2245256. 835. Village Of Sippihaw - NO HOA fees, optional private swim club in SD MLS#2245396. 320. Act fast, Don't miss out on this wonderful opportunity! MLS#2245283. 4914. 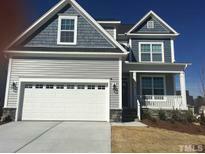 Sunset Lake - Huge Bonus/Fitness/Game/Movie Room, 3rdFlr Playroom, Huge Front & Backyard w/New Deck/Wrought Iron Railing! NEW Roof/Heat/HVAC (Most Windows Replaced) MLS#2245161. 1320. All photos are for illustrative purposes only since actual home is under construction. MLS#2245086. 835. All photos are for illustrative purposes only since actual home is under construction. MLS#2244967. 835. All photos are for illustrative purposes only since actual home is under construction. MLS#2244947. 835. Low HOA. Near hways/shops, Never pets. MLS#2244699. 3770. Bentwinds - Over a Half acre, this Beautiful setting is the Ultimate Location and Lifestyle you've been waiting for! MLS#2245047. 3313. All photos are for illustrative purposes only since actual home is under construction. MLS#2244911. 835. All photos are for illustrative purposes only since actual home is under construction. MLS#2244938. 835. Ballard Woods - NEW ROOF in Nov. 2018, New HVAC down 2019 MLS#2245002. 1768. Summerdale - 2 Car Garage! 1 yr Home Warranty Included! MLS#2244904. 3838. 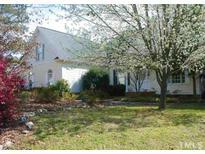 Dexterfield - Convenient to Lafayette school and easy commutes to Fay/Bragg or Raleigh Area. MLS#2236986. 3030. Meadow Wood - Features amazing upgrades/updates- Kinetico Signature Series Whole House Water Filtration System, NEW Water Heater, Newer Metal Roof, Double Driveway, CPI 4-Camera Security System with DVR Recording, FRESH interior/exterior paint, updated fixtures, Sunroom, HUGE bonus room with new carpet, perfect covered deck, and a wired 12x20 shop out back! Don't miss out! MLS#2245132. 4821. Wilson Pond - Large shed. Deck overlooks private backyard! MLS#2244883. 1618. Above ground pool in the oversized back yard. Showings to begin Friday 3/29/19 MLS#2243448. 5175. Lakestone Village - Large secondary bedrooms. Great storage. Oversized garage! MLS#2244443. 3670. Community pool, park, and sidewalks. Close to shopping and restaurants! MLS#2244834. 4675.